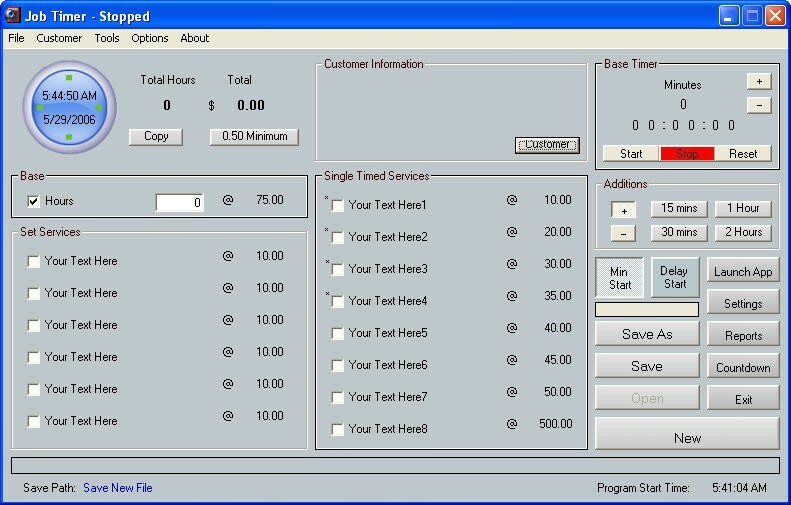 Job Timer 3 3.5.7 is accounting & finance software developed by Doc Design. Job Timer is designed to keep track of how much time you spend on a job. You can save your project as you go, it also figures out the cost of the job. Editable fields so you can name your section and price. It also includes a built in printable Invoice. This business software is shareware, which means you can download and use Job Timer 3 3.5.7 for free during the trial period (usually for 30 days). At the expiration of the period you will have to buy the accounting & finance product for $39.95. 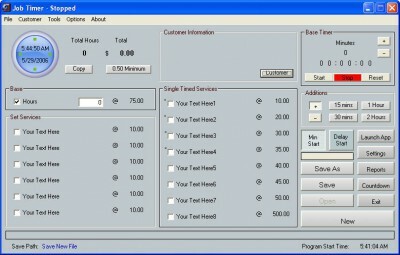 Job Timer 3 3.5.7 is available at regnow and Doc Design website. Job Timer 3 3.5.7 supports different languages (including English). It works with Windows 98/XP/Vista. Latest Job Timer 3 3.5.7 does not contain any spyware and/or advertise modules, allowing installing it with no worries concerning valuable information loss. We has completely tested accounting & finance software Job Timer 3 3.5.7 many times, written and published the interesting article and uploaded installation file (5800K) to our fast server. Downloading Job Timer 3 3.5.7 will take minute if you use fast ADSL connection. Active Timer keeps track of the amount of time you spend in each application. TimeLog is a project menu that helps calculate the time spent on client projects. BK Project Timer keeps track of the tasks that you do for any project.